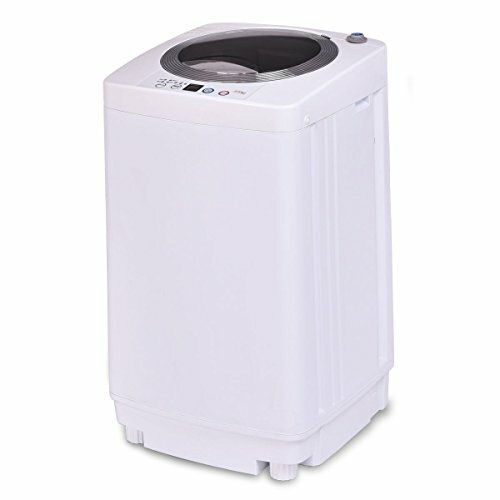 This full automatic laundry washing machine only needs a small space for store, which is a great solution for compact living. The washing machine has a maximum weight capacity of up to 7.7 lbs, which is a good choice for apartment or dorm doing medium or little weight laundry. The machine features a built-in drain aluminum pump and a drainage tube which allows you to easily drain out dirty water. You can stop wasting hours keeping an eye on washing machine for its full automatic cleaning mode. It has three water levels: L: 16 L; M: 23 L; H: 30 L; and you can choose a suitable level according to the amount of clothes you need to wash, which saves water and electricity. With 5 modes for you to choose, the washing machine can definitely meets your daily demand.